Think Cat Pics Are Worthless? This One Sold for Nearly a Million Dollars. You’re looking at “My Wife’s Lovers,” a painting done by Carl Kahler in 1891. 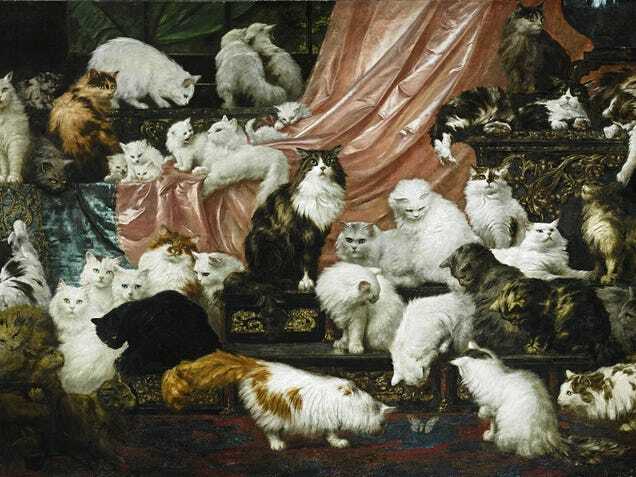 It represents forty-two felines of an eccentric California millionaire, and it sold for $826,000. Snacktaku is always on the lookout for new things to eat, but we also accept new ways to eat old things. 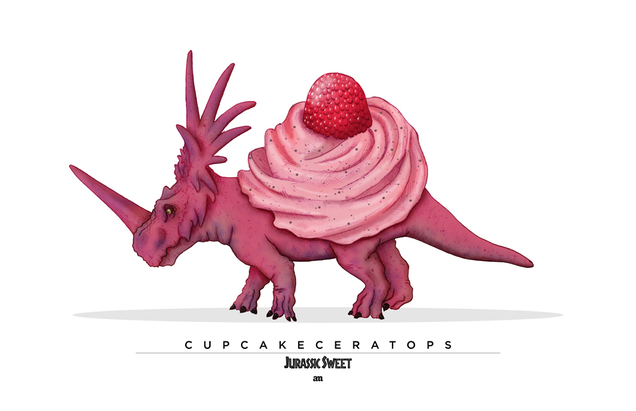 Spanish artist Alejo Malia's mouthwatering Jurassic Sweet series fits the bill quite nicely. Any couple hundred people want to split a Donutsaurus Rex?